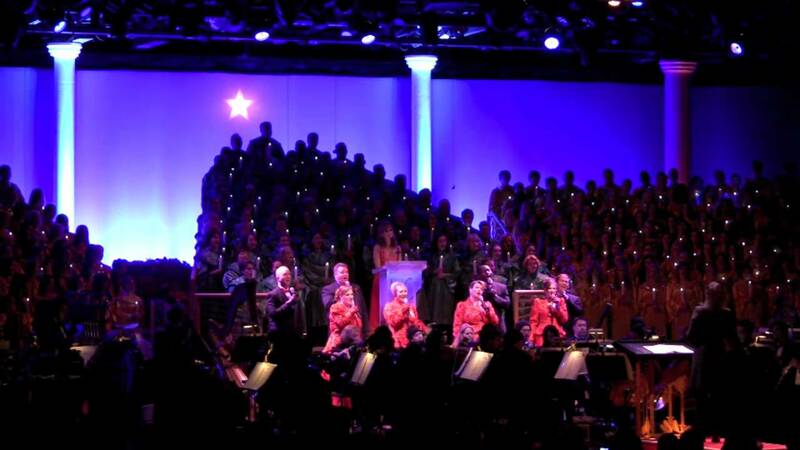 One of the most beloved holiday traditions at Epcot is the Candlelight Processional – a joyous retelling of the Christmas story by a celebrity narrator accompanied by a 50-piece orchestra and a glorious mass choir. The Candelight Processional is just a part of the Epcot International Festival of the Holidays. This past Christmas we finally saw the Candlelight Processional. We tried to go in the past, but the dinner packages were always sold out. We were so very fortunate to hear Edward James Olmos. He gave the most moving presentation of The Christmas Story that I've ever heard. The orchestra and choir were superb. Hopefully, we will have the opportunity to go again next year and hopefully, Edward James will be the narrator when we are there! This is by far my favorite Holiday happening at WDW. We always go the last night of our vacation. It is a truly beautiful and moving show. Here is the provisional Candlelight Processional narrator list for 2012. The list usually changes as things get closer, so this list is by no means confirmed yet. Here is the provisional Candelight Processional narrator list for 2011. The list usually changes as things get closer, so this list is by no means confirmed yet. The packages will be available to book on July 26 2011. Click the restaurant name for a look at the menu. Includes dinner at a select Epcot restaurant and guaranteed general seating at the American Gardens Theatre during the Candlelight Processional. For more information or to make dinner reservations, call (407) WDW-DINE (939-3463). Dinner packages are paid for at the individual restaurants. Guests will receive Candlelight Seating badges at the restaurant for guaranteed seating at the America Gardens Theatre for the booked show time and for viewing of IllumiNations: Reflection of Earth. Packages not available on Sunday, December 6, at 5:00 p.m. Restaurant Akershus in Norway is not included in packages. Includes an appetizer, an entrée, a dessert, a non-alcoholic beverage for each person on the package, reserved seating at the Candlelight Processional and pre-arranged IllumiNations: Reflections of Earth viewing. Prices listed above do not include gratuity or tax (tax not applicable to Dining Plan, Deluxe Dining Plan, Premium and Platinum Plans). The following songs are sung as the choirs enter the America Gardens Theater. Alphabetical list, not in order of appearance.